Arya group of companies is a versatile group, having carved a niche’ as builders of notable multi-storeyed complexes, famed for the design and aesthetic values. The year 2001 saw the emergence of Arya Lotus in Whitefield, the maiden venture of Arya Realtors and with the very first project. Arya Lotus, located off the main road, acquired the name of “Hidden Gem” from those in the neighbourhood. 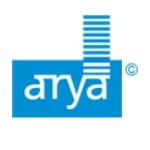 Project after project, Arya grew in stature; and the rest as they say ….. is history. A glimpse through the varied projects will substantiate the claim of delivering what we promise. We believe there are no boundaries for quality. That's why our constant pursuit is to achieve uncompromising standards in what we deliver. From quality of material and quality of finish to architectural design and added values. Every detail has been given the highest care including Vastu compliance. So when you walk into Arya Hamsa at J P Nagar 8th Phase, Bangalore, you be the judge. You do the inspection and admittedly you'll end up pleasantly surprised with all your discoveries.